Being square has never looked so cool or so trendy! Having a 9 1/2 x 9 1/2 square envelope separates you from the rest, especially since the majority of envelopes come in rectangular shapes. Symmetry is scientifically proven to be appealing, so the symmetry and balance of these envelopes will appeal to any eye. 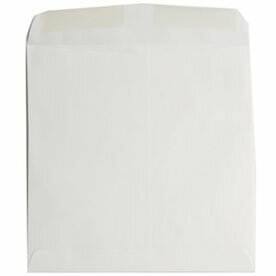 And the bigger size, one of our biggest square envelopes, will make sure that you can send those bigger invitations, bigger photographs, and bigger announcements without having to shove them or fold them inside! 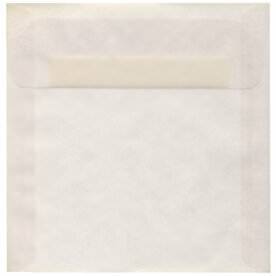 Square envelopes are the most contemporary envelopes out there, so be different and choose one today. 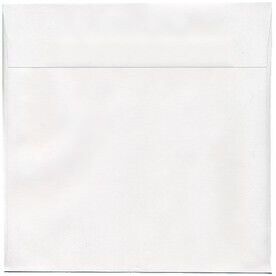 Our 9.5 x 9.5 square envelopes are categorized by color so that you can easily pick one that fits the occasion. 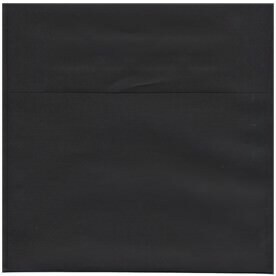 Try our Black Square Envelopes for a very sophisticated look. It is available in a linen finish, bringing even more texture and uniqueness into your envelope. Or take the opposite route and go super bright! Our Primary Yellow Square Envelope is perfect to brighten up your invitation. These are available in a translucent vellum finish, allowing your guests to take a sneak peek to what's inside but at the same time keeping that intrigue. Any color you choose will bring a modern look to your invite, letter, or holiday greeting so make sure to grab one!